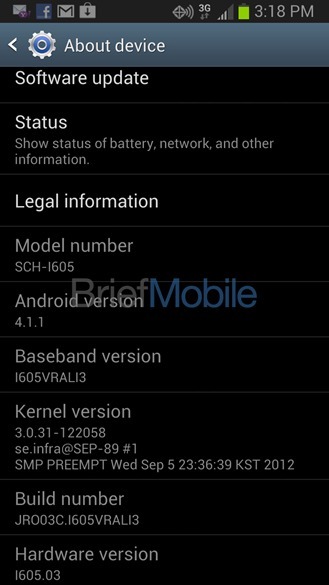 The screenshot shows the model number as SCH-I605, SCH being the Verizon prefix for Samsung smartphones. In the form of some additional possible confirmation, a quick search of Flickr yielded one image taken by an SCH-I605, though it's just a blank shot. BriefMobile goes on to claim that their source for the screenshot says the device will be packing a quad-core Exynos processor and LTE, suggesting once again that we can expect the Note II to be using a discrete LTE radio in the US, rather than foregoing Samsung's in-house chip for a Snapdragon S4. Given the extra room underneath that 5.5" SAMOLED panel, this really doesn't seem too farfetched. All other leaked US versions have indicated Exynos will be on board, as well. If true, this would mark Samsung's second successful campaign to see its flagship devices on all four major American carriers. No small feat, to be sure. BriefMobile also says we can expect the Note II on US Cellular, which makes sense, as it was one of the launch partners for the Galaxy S III. 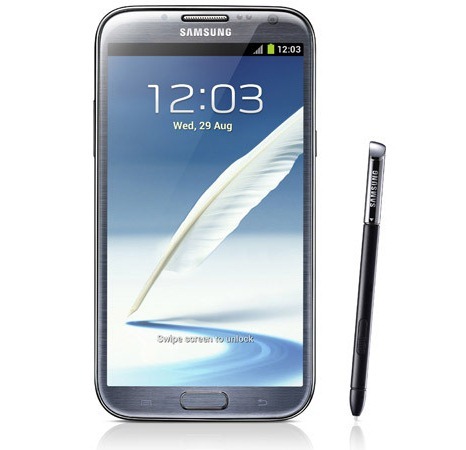 I'm sure we'll be hearing and seeing more of all the US Note II's in the coming weeks.